This was another gift from my friend Gene. I think it’s time to start repaying him. 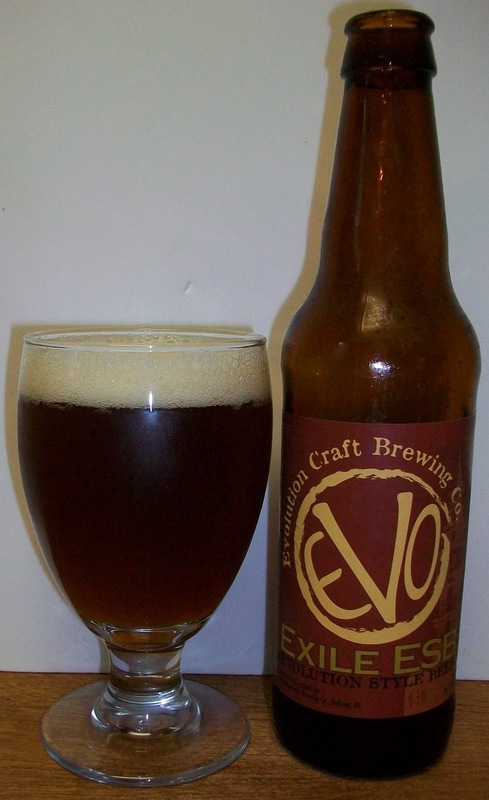 I have had several beers from Evolution and have liked them all. I have not had this one so it will be very interesting to see how their ESB is. The beer pours a slightly hazy amber with orange hues and a fairly creamy off white head. The nose is nice with caramel malt aromas and in interesting hop complexity, but floral and citrus hop aromas. Wow, that’s a nice ESB. This may rival my favorite ESB, Stoudts Scarlet Lady. The experience starts out with a caramel malt sweetness up front, then the most pleasant effervescence over the tongue in the middle of the sip. There is a hop robustness that builds during the middle of the sip into the back-end. This robustness is not bitter, it’s more earthy. The back-end is fairly easy drinking with a carbonation release during the swallow that masks some of this beer’s flavors. The finish pulls it all together with a rich caramel malt flavors along with a very interesting hoppiness. The hop bitterness is not overwhelming and it is fairly complex. The hops on the finish are earthy and floral with some pine and citrus notes. This is an excellently balanced ESB; the caramel malts and rich hops play very will together in this beer. There is a lingering aftertaste but it is not a lingering bitterness. 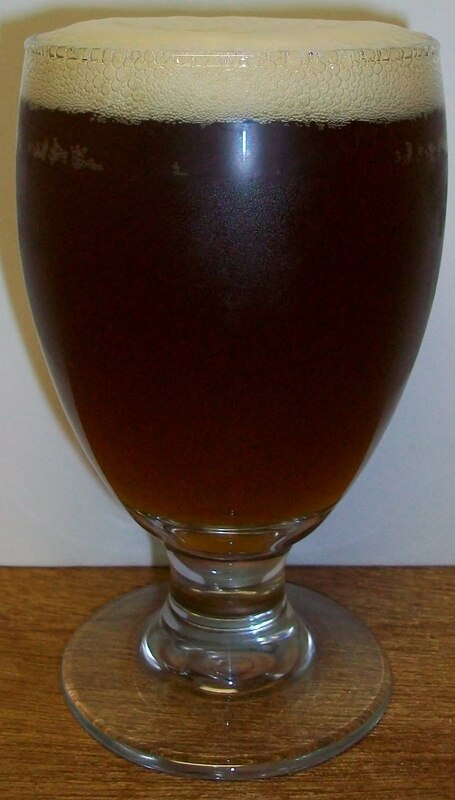 It is both the hops and malts that stay with you for a while. The head has diminished to just a nice protective layer over the top of the beer. It is also leaving some very impressive lacing. The beer has warmed to 65 degrees. This is a very rich ESB. The caramel malts in the beer really are outstanding. I’m going to let the set a little more as see how it warms. We are not at 72 degrees. Wow this warms amazingly well for an ESB. The carbonation is almost completely gone now. This beer is very smooth with an almost creamy mouthfeel. The malt flavors are much richer and the hop bitterness seems to have diminished. What a pleasant experience. This is an A for sure maybe even an A+. The beer was delicious with rich caramel malt flavors excellently balanced with a robust hop complexity. This is fairly rich but smooth and somewhat refreshing even until it reaches room temperature. I don’t think this will be my new gold standard for the style but it is a very close second. In some respects it is richer and more complex than the Scarlet Lady but the Lady has the most refreshing quality to it that in my humble opinion gives it a slight edge over this one.